Kipling United Methodist Church has a rich history in serving the Lord. We have enjoyed a mission and ministry to our local community and the kingdom at large. Kipling United Methodist Church dates back to 1862, when the first services were held at the old log Matthew’s school house. Reverend Anderson N. Betts, a Methodist circuit rider was the pastor and five women: Nancy Cofield, Martha Spence, Polly McKinney, Effie McDaniel and Flora Collins were the first to sign their names in the new church’s membership book. 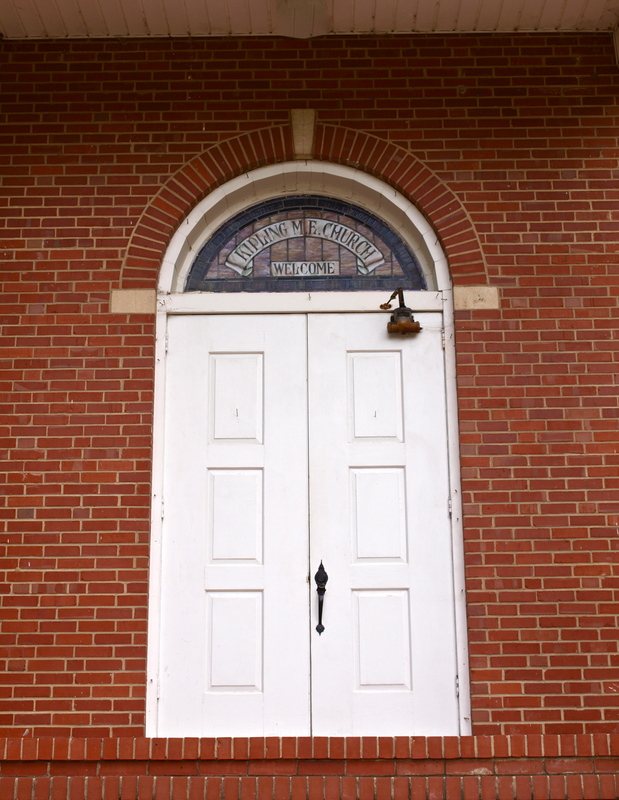 The church was known as Olive Branch Methodist Episcopal Church. 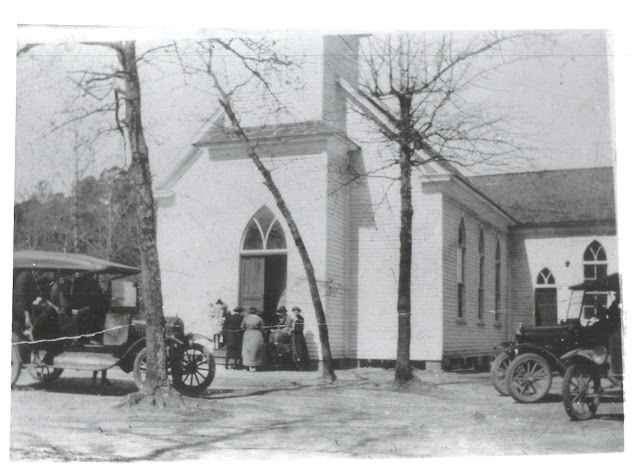 The church was relocated to its present site in 1934 after a fire destroyed the original building and Mr. D.R. Smith offered a lot in Kipling. Before the first service could be held fire destroyed the new facility in January 1935. Armed with faith in their Lord the servants of Christ at Kipling went back to work on their church building and by May 1935 a new church was erected. They dedicated the church one year later-May 1936. Amazingly, the church family has continued to demonstrate much of that early commitment to the Lord by their ancestors. Over the years this church has heard the cry of lost, hurt and the needy in the community and surrounding areas. They have helped to build and repair homes, feed the hungry, clothe the naked and tend to the wounds of their brothers and sisters around the world. Kipling continues to stand out as a church that is rich in heritage and tradition, yet seeking the will of the Lord to lead into the future. The following text was taken from an early church publication. It has been slightly modified to account for the time in which it was written. For the original, please click here. Olive Branch Methodist Church was founded about the year 1862. The first church services were held in an old log school house about a mile west of Kipling. Reverend (Rev.) Anderson Betts was the pastor and the first members to put their names on the church book were five women, as follows: Nancy Cofield, Martha Spence, Polly McKinney, Effie McDaniel, and Flora Collins, all of whom are remembered by the oldest people in our community. During the next revival, a group of sixteen women joined, among this group was Mrs. Barbara Trulove, who is the only surviving member at this time. This old school house with no windows was used approximately seven or eight years and a one-room church was built; this was built by having planks nailed perpendicularly. During revivals, a brush shelter was built at the front to provide room for the large congregation and the visiting colored people. The second pastor was Rev. Isaac Avent. In 1885, a plot of one acre was given to the church by Mr. Daniel Green, for a cemetery and Mrs. Liza Bradley was the first person buried there. Her husband, Alex Bradley, was second and the same cemetery is the community’s burying ground at the present time. About the year 1896 the church was turned to face the road, the boards taken off and weather boarded, ceiled, and painted. This was used until 1918, when it was torn down and a larger structure built, and several Sunday-School rooms were added in 1924. A Ladies’ Aid Society was organized about 1920 and the church was carpeted, a kneeling pad was furnished, chairs bought, stoves and a lighting system installed by the Society. A number of other small things were given by the Society, which will take too long to name. On February 28, 1934, while heating the church for a funeral, it caught fire from a stove flue and the church was burned with only $2,500.00 insurance, which was insured by the Epworth League. 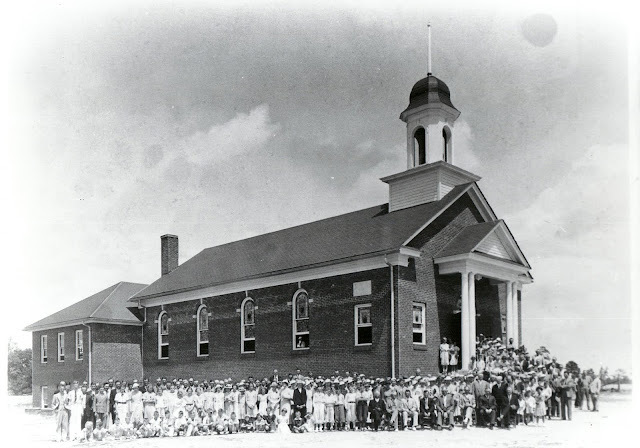 The following Sunday services were held at LaFayette School Building and a business meeting called, at which time, members subscribed money for building a new church. At this time D. R. Smith offered a site in Kipling for the new building and it was gladly accepted. Work began immediately and after the month of April, the building was well under way. Services were then held regularly in the basement weekly. It was at this time that the name Olive Branch was changed to Kipling Methodist Church. The work still progressed and the church was almost completed, except the main auditorium, when on January 23, 1935 it was mysteriously destroyed by fire. This happened on Thursday morning and on the following Monday night the pastor, Rev. J. C. Williams, with a few of the most competent members met at D. R. Smith’s store to discuss plans for a place to worship. Although this was the second church within eleven months to burn, and their only hope for help was based on the $5,000.00 insurance, they decided to build again. More subscriptions were promised that night and soon work of removing the burned debris was begun. The Chalybeate Springs Baptist Church very cordially offered their church to them. They gladly accepted and never a church was more hospitable. They met regularly in this church until the first Sunday in May of 1935 exactly one year ago today. How happy they were to be settled again on their own grounds! As of the church’s new dedication in 1936, there was a total membership of 208 in the Kipling Methodist Church. In your mind contrast this with the just five (5) members of the old Olive Branch Church. They realized that it has taken exerted effort and worthy cooperation of the members of this church. Of the 208 members, 145 had donated. There also had been 227 who had donated, who were not members of our church. This shows their Christian spirit and interest, and the members of Kipling Methodist Church wish to take again this opportunity to thank them, who have helped to make the present place of worship possible. The church can never forget the faithful work of the Ladies’ Aid Society. Surely never a group of women had been more loyal or trustworthy to a cause. Please click here for a scan of the church program from that day! The parsonage was built over the following decade and completed in 1949. Please click here for a scan of the church program from that day as well! Click here to read the history document/program compiled for the 2008 Homecoming Celebration. Big thanks to Dan Smith and all contributors for keeping up with the church history! Scott – great job with the site! Thanks for pulling this all together.